The boys are as much enthusiastic record diggers and synth hunters as they are lovers of modern day electronic music. Not surprisingly, staying busy is exactly what they’re doing with their label, Heist Recordings. Maarten and Lars are constantly on the look out for new music and that one promising artist that they feel needs to be heard. Though Heist saw it’s very first EP only back in 2013, it already has become the go-to label for many A-list dj’s. It has released a wide variety of exciting EP’s by a.o. Fouk, Nebraska, Max Graef, Nachtbraker, Adesse Versions, Frits Wentink, M.ono, Obas Nenor, Andy Hart, Brame & Hamo, and of course Detroit Swindle themselves. They’re working hard to give Heist that unique edge with the artists they work with, the artwork they put forward and the special projects they have on the label such as the yearly Roundup EP, a tradition where every artist of that year remixes another artist, effectuated by the luck of the draw. 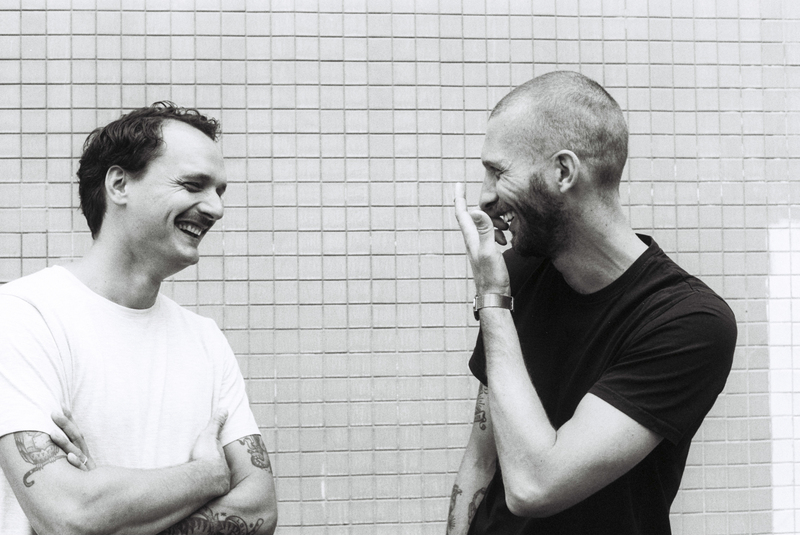 Detroit Swindle have been playing live shows right from the get go, and have expanded their setup ever since. Currently, they’re touring with an extensive setup of analogue and digital instruments and they’re bringing an additional key player with them to be able to perform their own music, unexpected covers and improvise on the spot.